Fresh Tips And Ideas In Creating A Modern Workplace In 2018? What should modern workplace look like? Designing a modern workplace is not like it was before. The entire business has changed which means that the environment where people work has to adapt to the people. You have to invest a lot in the appearance of your office just like you have to invest in every branch of your business. Branding has become one of the most important tasks in attracting potential customers which means you have to have an impressive and modern office. But, what can you do to make your office the modern workplace your team really needs? This is one of the most general questions you can ask yourself and I will do my best to cover as many areas in this article. A modern office is much more than just its design. Having a modern workplace is all about the team you have and the business you do. The first thing you have to think about is the design of the office. Yes, I am talking about the layout, the furniture and, what is most important, the equipment you have in your office. I want to show you how you can improve each part so you can have that modern workplace in your office. 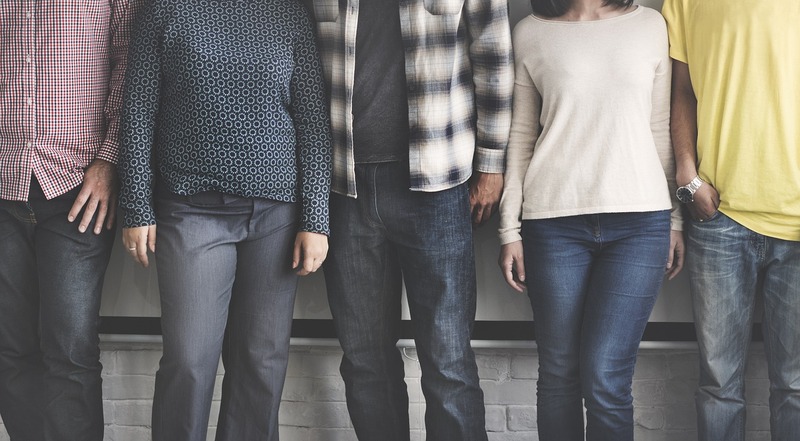 Businesses often have more people divided into teams with a special task. Depending on your type of business, you can have programmers, digital marketers, salesmen etc. Each team has its own way of dealing with a problem which may interfere with other teams. Because of this, you need to keep an eye on every team you have. I know that modern office usually has open space, but you don’t want to make yours an open space if it will make your teams distracted all the time. Give each team their own space. Share with them how you can design it to make it more user-friendly. For example, programmers will probably be okay with one room, probably without too many windows or the light will reflect from the monitors. Digital marketers will make use of an open space design because they work on their advertising ideas together. Don’t forget to add a whiteboard in their office because they have to have a room for brainstorming. For salesmen, on the other hand, is better as divided area, especially if they have to use the phone often. You can’t talk on the phone when people around you are brainstorming. By equipment, I mean every piece of furniture and technology your team need to have. I know that this may sound like a huge investment, but you have to be smart while picking furniture. Wage what you can afford to be low cost and what are the things you have to pay big bucks. For example, shelves, bookcases, and office decoration don’t have to be made by some designer. You can easily buy those things in regular furniture stores. A work desk is the same story. Try to think about functionality more than the design. Pick tables that have more drawers if you have a lot of papers for the business. If you are mostly digitally oriented company, choose the more simple design of the desk. Things you have to invest in are chairs, technology, and software. You don’t want an employee who has to take sick days every few months because their back hurts. Ergonomic chairs are an investment but working with bad back won’t get you anywhere. Also, you don’t want to use a program without a license because you eventually you will get caught and you will have to pay a huge fee for that. Having good quality software with good customer support is essential. In the business world, time is money and you can’t afford to have buggy software. The office is the second home for most people. When employees work from Mondays to Fridays and sometimes Saturdays too, they often don’t have the time to relax. Due to that, you have to provide them some sort of relaxation or they will eventually go crazy. You don’t have to do much, but you have to do something or you will be known as that grumpy boss who doesn’t think about their employees. First things first, make sure that you don’t overwhelm them with tasks. If you see that they aren’t able to make everything on time, hire a helper. If you don’t have the money, you can always make an internship position. The internship is a job for a person who doesn’t have experience and he will benefit from working at your firm because he can learn a lot about business. Most of the time internship is for students who are looking for experience. This can be a temporary job. Only a few hours a day, not the whole week. Which means it will be cheaper for you than to hire a professional. Besides that, you can use some unconventional anti-stress therapies and put them in the office. One of the most popular things people use is game tables in the offices. They are good because you can be aggressive on them, removing negative energy and matches usually last five minutes. 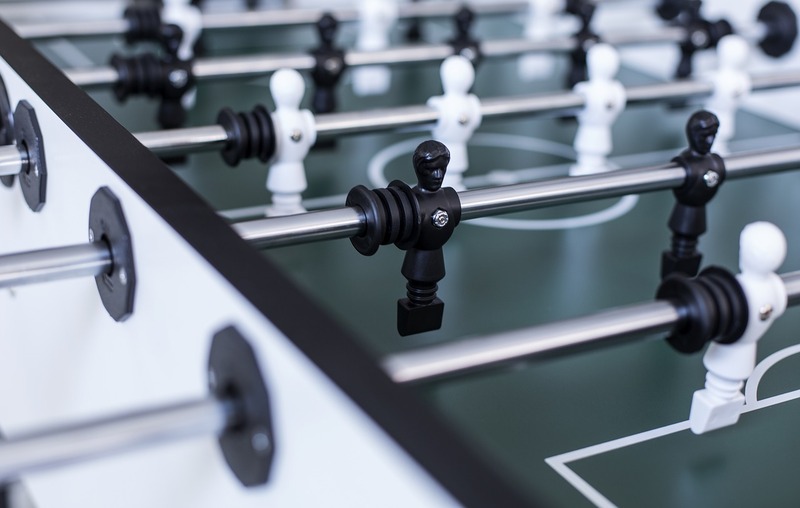 If you have a break room, fill it with one foosball table or air hockey because it will help your employees deal with stress. On the other hand, those game tables are also good because they are a great way for your team to bond. I know that they don’t have to be the best friends in the world, but it is always better for them to work in the friendly atmosphere than an intense one. 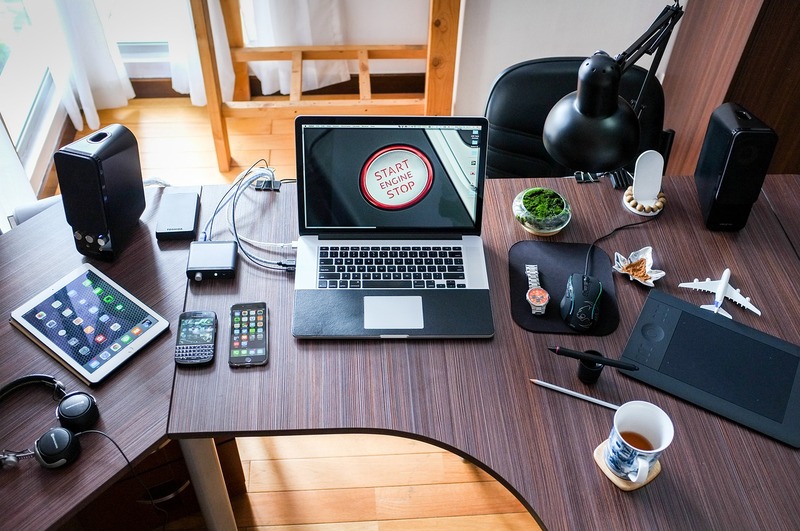 As you can see, there are tons of things you can do to improve your office and make it better for you and your team. All those things may seem like a big investment and due to that, you can always make them in stages through the year. Remember, a good work atmosphere will make your team work harder which will make your business better. We are not much without our team! Mark is a blogger who loves technology, gadgets and game tables. He finds that his best anti-stress therapy after a long day of work is a match of foosball with his family. A beggar’s mistake harms no one but the beggar. A king’s mistake, however, harms everyone but the king. Too often, the measure of power lies not in the number who obey your will, but in the number who suffer your stupidity.